Cullen Jenkins Could be on the Move to Rival Chicago Bears? With a Super Bowl ring on his finger, the impending free agent defensive lineman Cullen Jenkins will soon come to know if he will also have a fat contract like all the diamonds. According to Pete Dougherty of the Green Bay Press-Gazette, he does not think the Packers will make every effort to re-sign the 30 year-old. That's not too notable, as has been the consensus among those who cover the team for months. What is remarkable is the last sentence in Dougherty Jenkins: "The Chicago Bears are believed to be particularly interested." The Vegas Odds makers have made the Green Bay Packers +600 Betting Odds to win 2012 Superbowl. For the Bears -- or any other team that employs the four-man front as their base defense -- Jenkins will play DT, whereas he was one of the DEs in the Pack's vaunted 3-4. He's played in both configurations during his NFL tenure already, which increases the size of his market. If Jenkins proves to be an ill fit for the division rivals in Chicago, many other teams are looking for help, either at 4-3 DT or 3-4 DE. 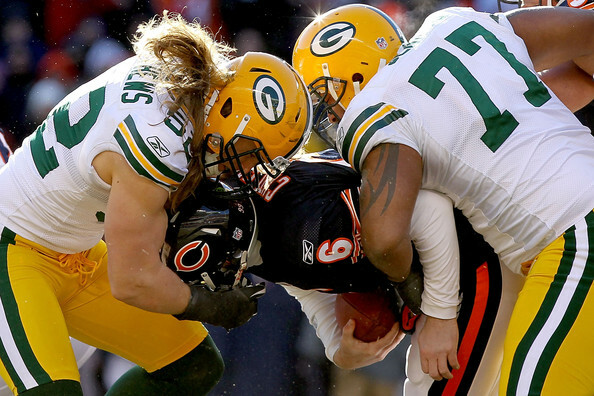 NFL Update - Will Green bay Packers Cullen Jenkins stick around? Vegas Odds.